A new movie about Dutch painter Vincent Van Gogh opens Friday, October 27, 2017, in select theaters in Montana. The 95 minute animated film focuses on the last six weeks of his life. 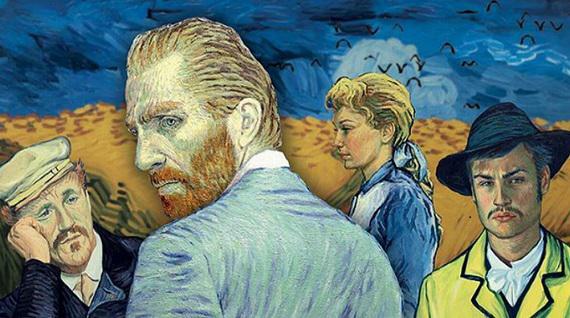 This movie is an intimate portrait that weaves Van Gogh’s art with his thoughts, and sheds new light on this troubled artist. “People think about the Sunflowers and the Irises. We think about the fact that he cut his ear off,” said MSU-Billings art history professor Dr.LeeAnne Gilbertson. That’s what this movie, Loving Vincent, attempts to answer. This story unfolds through the people Van Gogh saw every day and painted. The details come from his many letters he wrote to his brother Theo and his friends over the years. The movie had a preview in Billings earlier this week at the Art House Cinema and Pub. Tyler Murphy, a local artist and gallery owner, was drawn to the movie by the movie’s unusual animation. “Sixty-five-thousand oil paintings, frame by frame, painted and all put together to make a full length feature film,” explained Murphy. An underlying question in the movie is raised by one of the characters. “How does a man go from calm to suicidal in six weeks? “ postman Joseph Roulin, friend of Van Gogh, asked in the animated film. Murphy has as a possible answer. “The idea that Vincent, maybe, didn’t kill himself but was shot by a kid who was kind of harassing him around that time,” Murphy said. It was something he had heard from a fellow artist a decade ago. Murphy said the movie confirmed a lot of what he already knew, and he left wanting to know more. Another Van Gogh enthusiast, Adela Awner, came away with a new appreciation of the artist. Loving Vincent is showing around the country, including the Art House Cinema and Pub in Billings, and the Roxy Theater in Missoula. It opens on Friday, October 27, 2017, and is showing through weekend and other dates over the next two weeks.